Anglers were looking for a paddle tail that had a shorter, slimmer profile, with the benefits of ElaZtech – 10X Tough, super-soft and flexible realistic feel and built-in buoyancy for maximum action at slow speeds and a buoyant, lifelike tail-up action when at rest on the bottom. 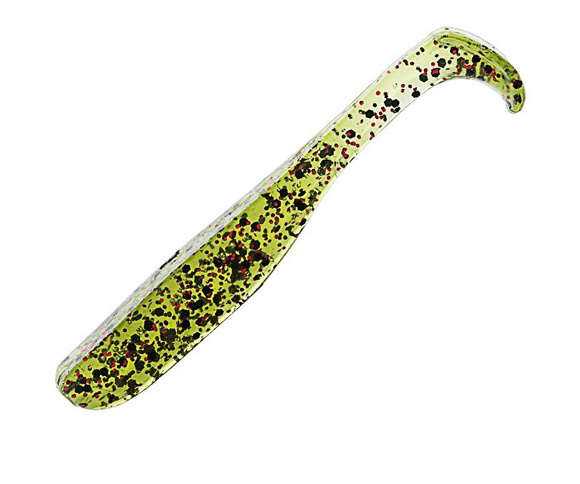 The Slim SwimZ ticks all of these boxes and packs a lively, lifelike action in its little paddle tail; an action that is sure to see it punching above its weight on species that are not commonly associated with a 2.5” soft plastic. Both bass and bream tournament anglers are excited with this new release, but it will also appeal to anglers chasing yellowbelly, trout, redfin, saratoga, sooties and jungle perch in the fresh, and flathead, grunter, tarpon, giant herring, tuna and other species in the salt, that often frustrate anglers with their preference for tiny baitfish. With plenty of built-in action the 2.5” Slim SwimZ is perfect for anglers who want to give soft plastics fishing a try and a deadly addition to the experienced soft plastic fisho’s arsenal. Fish on!